Music Store is the world’s fifth-largest retailer of musical instruments and accessories. For over ten years, the Cologne-based company has run its highly successful online store on Intershop technology. 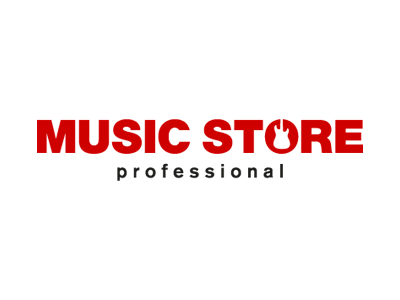 To secure the future of its ever-expanding business in Germany and throughout Europe—where it currently employs around 300 people—Music Store upgraded to Intershop 7 in 2016. Online customers now enjoy a richer shopping experience that is optimized for mobile devices. For the shop admins, Intershop offers easy manageability and robust technology that copes effortlessly with peak user loads. The Music Store online shop is available in ten languages, increasing its international reach. Reach is expanded further by the 31 country-specific tax rates stored on the Intershop platform. Intershop's solution has been fundamental to Music Store's international growth since the year 2006. Enable highly efficient, centralized management of Music Store’s growing and international online business. Provide effective marketing and couponing resources to selectively target customers. Create a modern and attractive showcase for products that is optimized for mobile devices. Customized promotions, coupons, and discount options generated by the promotion engine in Intershop Commerce Suite. Languages, currencies, shipping methods, and tax rates are managed centrally and deployed as required. The storefront is automatically optimized for each user device (responsive web design). Synaptic Commerce: The e-commerce platform is integrated with warehouse back-end systems. Special items that are no longer available are immediately removed from the inventory, ensuring that the online store is always up to date. Shopping experience: The Music Store shop keeps customers coming back for more. Attractive features include numerous product videos and high-quality, enlargeable images. International flexibility: thanks to Intershop, Music Store can now respond more flexibly to individual customer needs while implementing its strategy for growth. The Intershop omnichannel commerce solution has been fundamental to Music Store's international growth since 2006. Our international shops are responsible for a large portion of our total revenue. We therefore had extremely high expectations for the new shop. Many of our requirements would have called for extensive programming by other providers. We know that the Intershop solution's strength in internationalization can help us keep deployment costs to a minimum. We especially appreciate the store solution's high dependability—we are able to easily manage even the busiest times of year, such as the holiday period.